We invite you to assist Global Wholeness to bring our life changing documentary film “Sacred Journey of the Heart” to even more viewers worldwide and break ground on the many wonderful projects we have planned to bring honor, memorialize and heal communities in need. We are asking you to fill your heart and ours with a contribution of any amount because we believe each heart should be counted, no matter the size! Your donation allows the paradigm shift of conscious and heart based living presented within the film to become a reality. Your donation will enable the team to deliver the film’s take away message and lessons to others and the team will be able to show this film to even more communities, religious and spiritual places of worship worldwide. 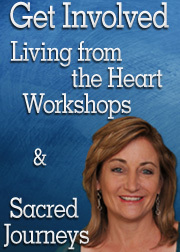 You’re invited to become a key part of this sacred family of supporters and begin Your Own Heart Journey by promoting a heart-based lifestyle and investing in Global Wholeness’ vision and mission.